Clean and flat work surface is crucial for effective and thorough care. Your records are in good hands. CLEANING IS EASY AS ONE... TWO... THREE! 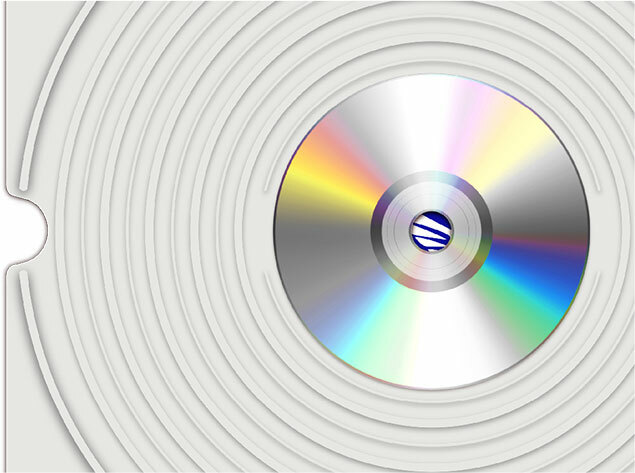 You can have a perfectly flat workplace for record cleaning in just a few seconds. The antiskid surface firmly “grips” records. The mat itself is very durable, water-resistant and chemically stable. At the same time it is soft and elastic: thus safety of the record’s surface is guaranteed. Hygienically safe. Non toxic. This is, as the matter of fact, the thinnest product in the Analog Renaissance vinyl care line (and finesse too!). 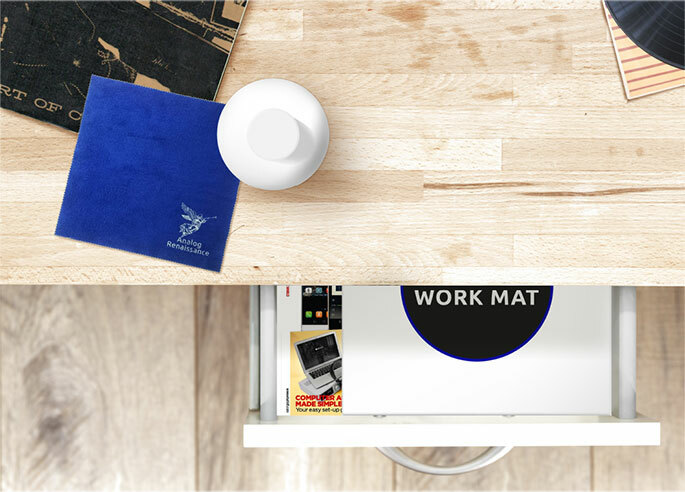 Mat dimensions allow you to store it anywhere: in a drawer, on a shelf or, if you wish so, between the records! When you have specialized mat and quality spray cleaner, question “How much does it cost to clean a record?” looses it’s edge. If you prefer affordable vinyl care products, this, without a doubt, is your solution. Even those who own a record cleaning machine sometimes yield to the temptation to clean the record by hand. Don’t deny yourself this pleasure. The mat has “designated parking area” especially for cleaning and polishing of CDs and DVDs. You can store your mat in an envelope or roll it up to save space. It’s your choice. © Analog Renaissance, 2015 г. Все права защищены.